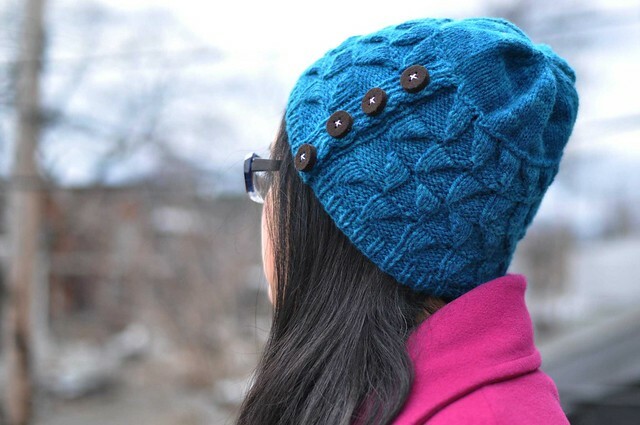 Pekoe is a lightweight pullover with a twist! The front is simple stockinette with gentle waist shaping while the back features a fun garter stitch eyelet pattern. The body is worked in the round to the underarm, while the elbow length, set-in sleeves are worked flat and sewn in. Wear over a brightly coloured camisole for a great peekaboo effect. Reversible front to back, if you dare. 4 skeins in "Oyster Blush" for size 36.25 / 90.5cm. 7 page PDF with abbreviations and schematic. Measurements in imperial and metric.